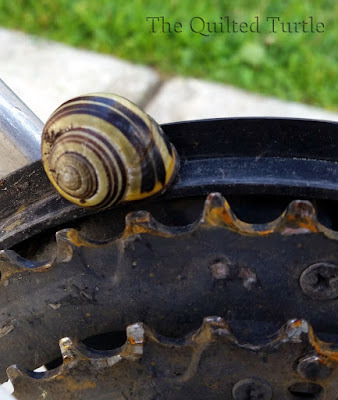 As I pushed my bike into the school bike racks this morning I noticed a stowaway. 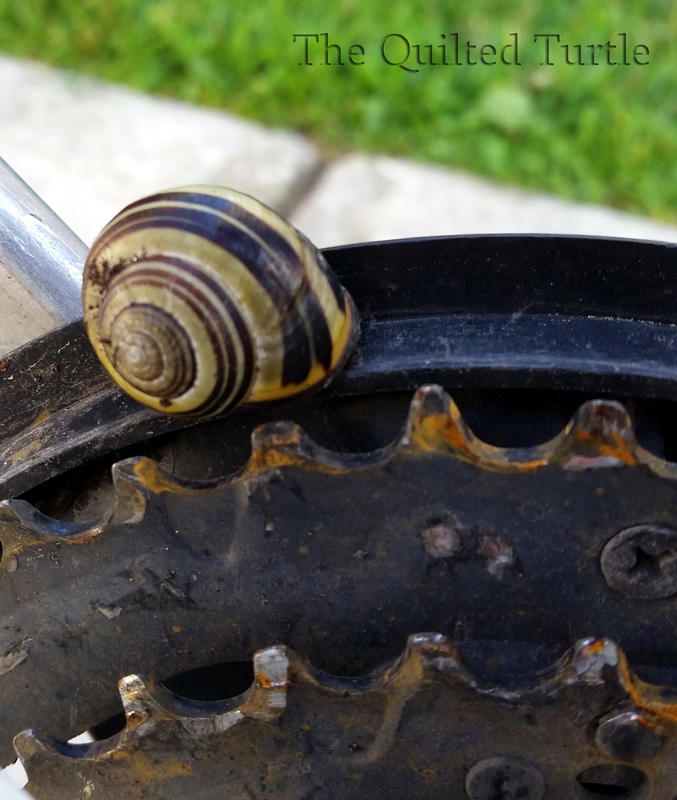 This little snail managed to hold on to my bike's chain guard for the one mile trip down the hill. LOL!! I love your comment "how long would it have taken him without the lift". You have me rolling on the floor. He sure has a pretty shell. But how will he ever get home?